Sant Sadurní d’Anoia is indisputably the Capital of Cava, with over eighty local Cava wineries making this product. Since the late 18th century, vine-growing and winemaking have been the town's main occupation. 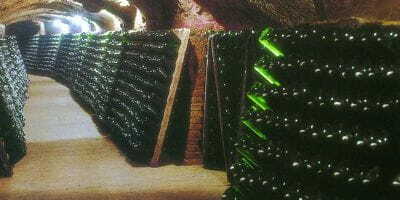 From the start of the production of sparkling wine in the Penedès, Sant Sadurní was a prime model of its exploitation and refinement, setting down the roots of a tradition that reaches us today witho ver a hundred and fifty municipalities making up the Cava Region, which is the delimited production area for the Cava Designation of Origin (DO).